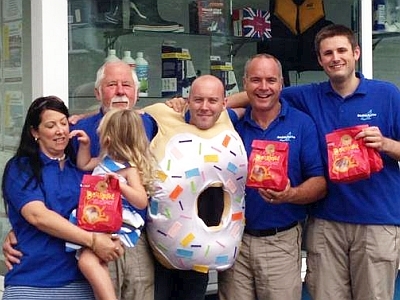 We are Torbay's biggest chandlery serving the South West and beyond with all your boating and leisure needs. Bayside Marine was established in 1998 to supply commercial fishing gear to the local fleet of trawlers in Brixham, Devon. In 2002 we decided to use the main area of the premises as a chandlery, which has gone from strength to strength year after year. We now are stockists for all the major suppliers, including Jotun, Hempel (Blakes) Paints, International paints, Kingfisher Ropes, Plastimo, plus many more. 2009 saw the development of our E-commerce business which has far exceeded our expectations. We are one of the largest yacht chandlers in the Southwest providing the local marinas, clubs and boating enthusiasts with all their needs to keep them on the water, as well as seeing new customers from all over the U.K and Beyond. We are also the Main Dealer for Jotun Marine Paints and can offer free and friendly advice for painting you vessel. Our aim is to provide a professional and friendly service online and instore for all our customers.